Cincinnati Children’s Hospital Medical Center associate professor of pediatrics Dr. Trent Hummel ‘97 will present a Suter Science Seminar at Eastern Mennonite University on Saturday, Oct. 13, at 9 a.m.
Hummel will discuss Targeted Therapies in Pediatric Neuro-Oncology: Lessons from the Past, Hope for the Future. Certain pediatric cancers such as leukemia have seen a marked increase in survival while others, such as progressive brain tumors, have remained difficult to treat. A palpable change in pediatric oncology is taking place: the genomic details of an individual’s tumor are now playing a prominent role in the treatment of aggressive tumors. Additionally, attempting to harness a patient’s immune system may also lead to positive outcomes. Hummel will discuss the concept of personalized medicine, specifically in pediatric neuro-oncology, and the potential pitfalls of immune-therapy in pediatric brain tumors. He will also attempt to give general advice for those in the audience desiring to pursue academic medicine. Hummel received his bachelor’s degree from EMU and his MD from the University of Cincinnati College of Medicine. 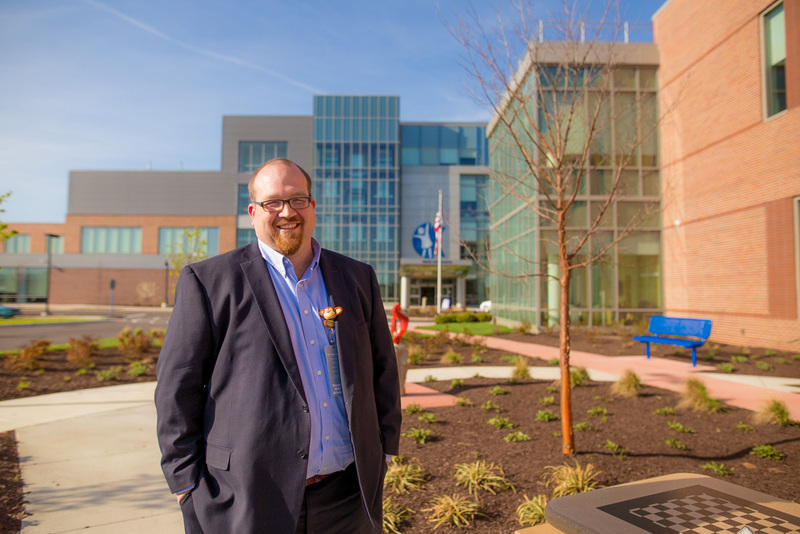 He completed a pediatric residency at Children’s Hospital Medical Center of Akron and a subsequent pediatric hematology/oncology fellowship at Cincinnati Children’s Hospital Medical Center. His clinical and academic interests focus on developing novel therapeutics for children with brain and spinal cord tumors, including very poor-prognosis tumors such as high-grade gliomas and diffuse intrinsic pontine gliomas. He spends a portion of his summers as the medical director of Camp NJoyItAll, a camp for kids with cancer and blood disorders. This is the third of five Suter Science Seminars this fall, which are made possible by the sponsorship of the Daniel B. Suter Endowment in Biology and the co-sponsorship of supporting programs. The next seminar is on Oct. 24 and features St. Luke’s University Health Network research institute director Jill Stoltzfus on From Undergraduate Education to Meaningful Employment: How a Former EMU Psych Major Found Her Calling in the World of Academic Hospital Research.